The 2011 MLS Cup Final at the Home Depot Center in Carson, California is only days away, and with the Houston Texans on a NFL bye week, the Dynamo have been feeling the love in their home city. 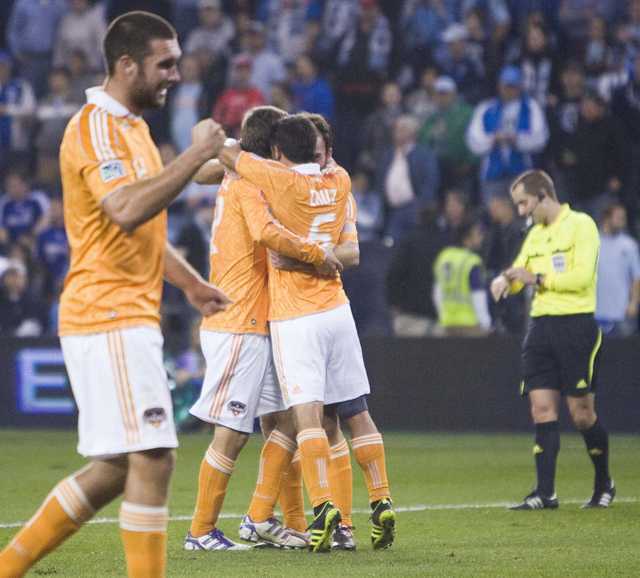 On Wednesday evening a rally was held in Houston for the Dynamo before their departure to California. Meanwhile, in an effort to help ensure that the core Dynamo fans make it out to California for the final, Oscar De La Hoya, who is a part owner of the team, chartered a bus to take Dynamo supporters to Sunday's match. Not surprisingly, most commentators have given the nod to Los Angeles Galaxy to win the match, but as their road to the Cup final has shown, the Dynamo should not be ignored.